Based on the film Psycho, Norma Bates buys a motel on the outskirts of a picturesque coastal town after the death of her husband, all seems well with her son Norman. This soon changes as the town starts to reveal its secrets and Norman begins showing his true colours, including the unnatural connection to his mother. There are a number of things that happen that you don't see coming to keep it interesting. This series has a new story every episode and is designed to show the dark side of technology. I've only just started watching this and wasn't sure about it at first. It did take me a few episodes to get into it, but with different themes all the time, there is no story to follow. It is quite an interesting watch as it gets you wondering how much our lives can revolve around technology and our almost dependen (he says typing this out on a laptop to publish on a blog). After everything seems to be going so well, a group of law students at the top of their class get pulled into a murder plot. Oh and their criminal defence professor is in on it too. It get's so intense and you won't want to stop watching. There are plenty of twists and turns to keep you on your toes, so don't worry about it getting boring. You really root for the group and just as you think it's all settling down, a new problem is thrown into the mix. There's no guessing what this series is about, but before you assume it's another slow walking, flesh-eating standard zombie show, don't jump the gun. This all starts with a crazy boat party getting a little out of control with Olivia (your zombie-to-be) starting her new life. After being a high-flying doctor with a successful career ahead of her, she finds her new calling at a morgue. The new job comes in very useful for the police department in a rather interesting way. I found it so easy to binge watch it over a weekend and was gutted when I got to the end. 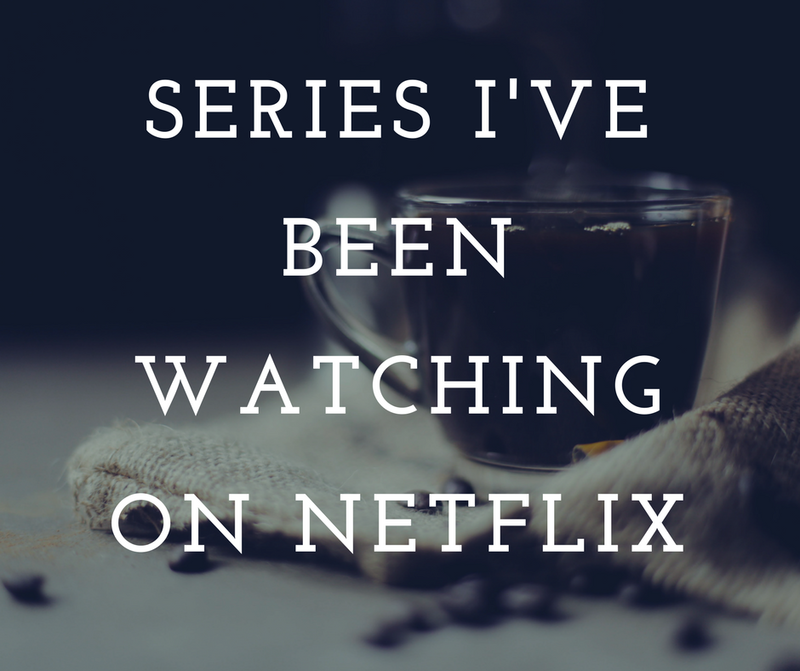 This psychological thriller will really draw you into each and every episode. An FBI criminal profiler becomes haunted with visions of the killers he is chasing. He looks to Hannibal his psychiatrist for support and this relationship develops into something rather dark. It will have you absolutely gripped. The show is a different look at serial killers and the ripple effects this has on the people pursuing them. 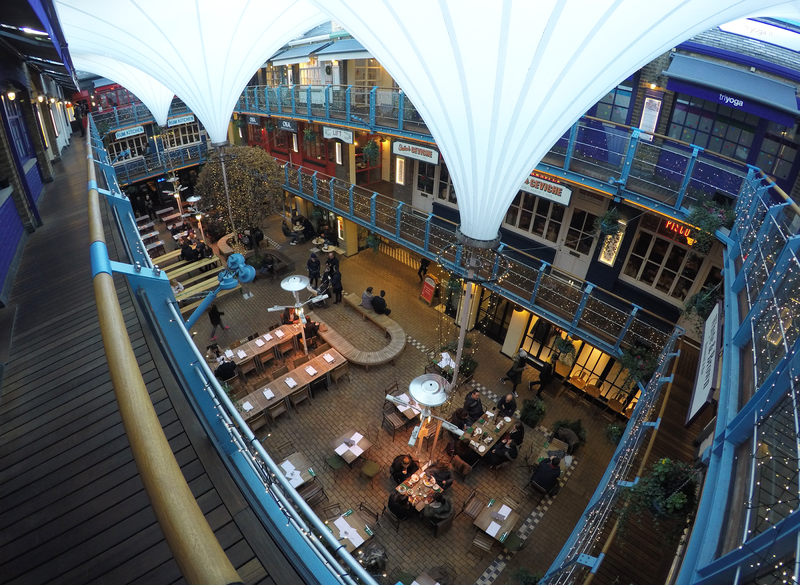 A few weeks ago I went down to London for a long weekend and came across Kingly Court almost by accident. We were heading to find Crumbs and Doilies (which is the nicest cake shop ever) and found it tucked down what seemed to be a random little backstreet. After finally deciding which cupcakes to buy, we carried on wandering down the street and it opened up into this impressive courtyard as you can see above. I've not seen anywhere quite like this before with so many restaurants and cafes packed into such a small space. After wandering up to two flights of stairs (later to discover there was an elevator) to get some photos from the very top I had worked up myself quite an appetite and there was Pizza Pilgrims, just staring me in the face as I came back down the stairs. Heading through the door, we discovered this authentic and very homely restaurant waiting for us inside. They also had seating outside but it was just a little too cold to brave this. 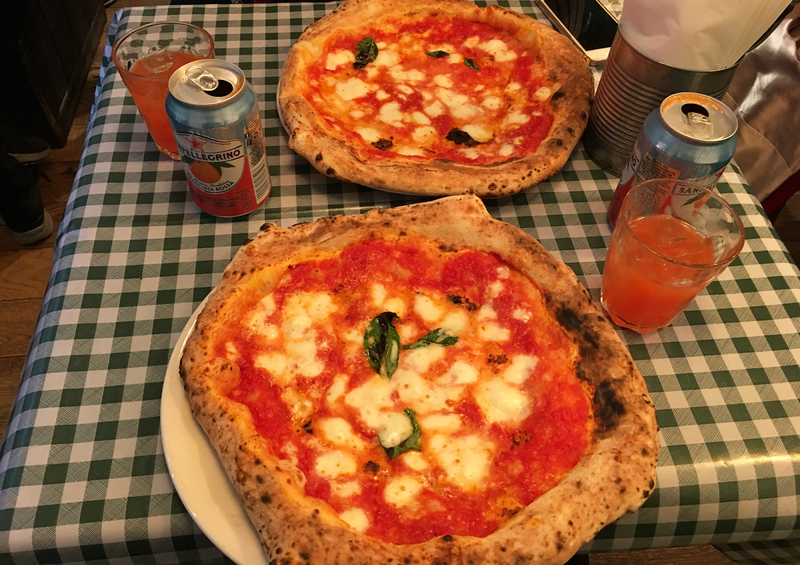 Even though they have a good selection of pizzas on the menu, we both ended up going for a margherita as we only wanted something simple. Accompanied by a can of San Pelligrino our pizza's arrived within 10 minutes and you could tell that had just been pulled out of the stone bake oven. Even with only having the cheese and tomato option, it was still a tasty with a well flavoured pizza. The decor in the restaurant gave it a very rustic feel, with the low hanging lamps and vintage signs on the wall. 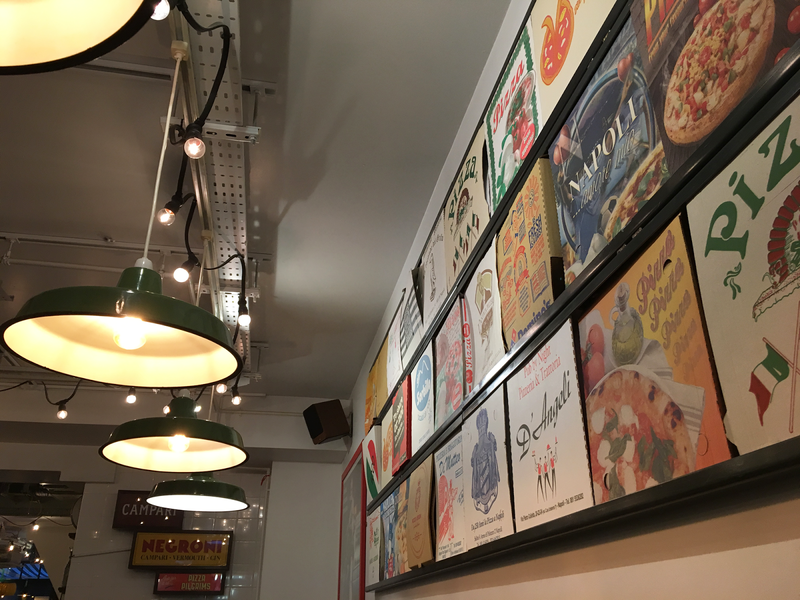 One of the things I loved was all of the different pizza boxes arranged along the back wall which looked really impressive and gave it that unique look to remember it by. The prices were actually very reasonable, especially seen as it was part of this court area and only five minutes away from Oxford Street. I would definitely head there again if I was in the area as it's a great little stop for either lunch or dinner, with tasty food and a good atmosphere that won't break the bank. 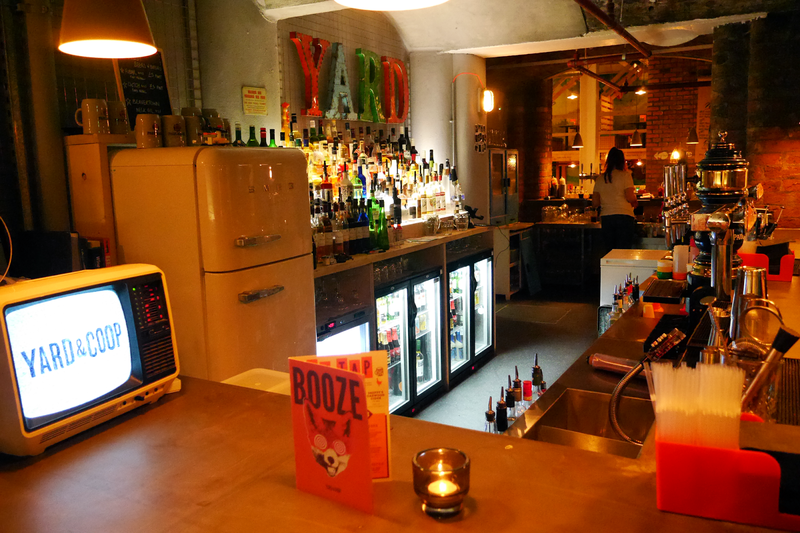 After looking around for a new restaurant to try out in Liverpool, Yard and Coop kindly offered for myself and Laura to go and taste what they had to offer. 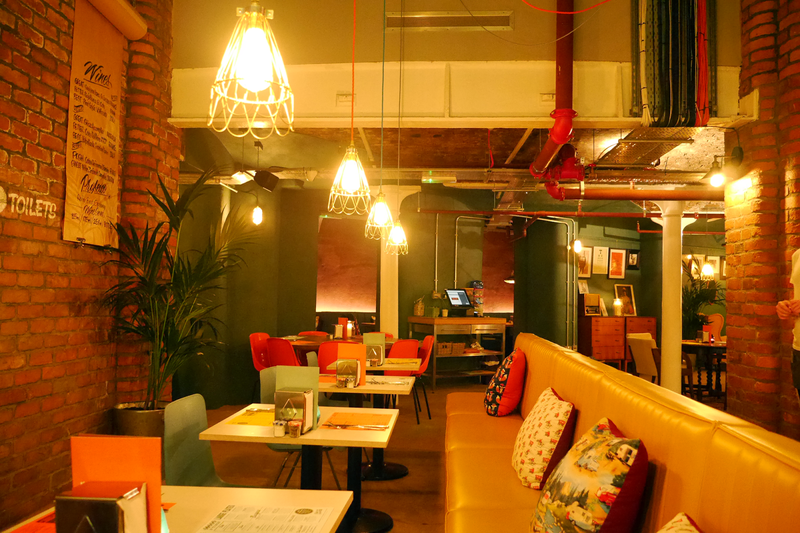 Their restaurant is 'the home of buttermilk fried chicken' and they offer plenty of tasty meals to make it difficult to choose your favourite. Located below ground, the steps lead into a very impressive layout. 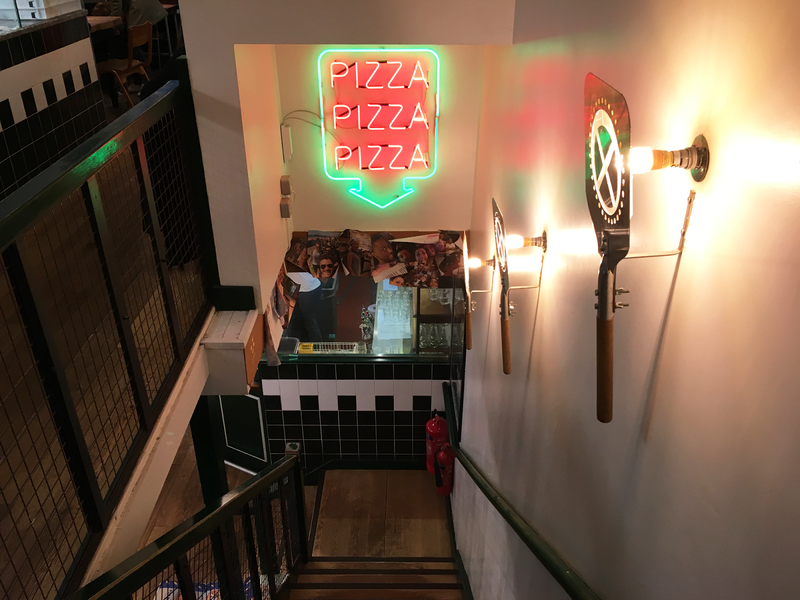 The staff were happy to recommend what food and drinks to go for, with our server Amy being really friendly and helpful, making sure we had everything we needed. One of the first things I noticed when I walked in was they style of the place. It was different to anywhere I'd been before and totally worked for the type of restaurant it is. 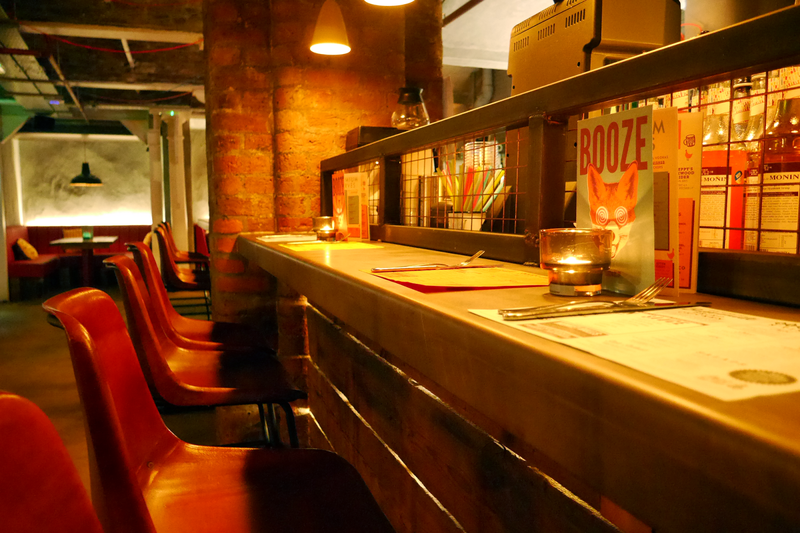 There in an impressive bar area with relaxed seating which leads through to multiple tables. We went at a pretty quiet time (which actually worked out quite well for taking some photos) but there are plenty of areas to sit so there shouldn't be too much of a wait, even at busy times. I loved the design of the aptly themed double wooden coops which really help bring together the chicken theme, you can see the coops in Laura's review. The hanging lamps were a good touch as it gave a nice warm and relaxed feel to the place. They have a decent selection of drinks on the menu, from milkshakes to cocktails, so there should be something for everyone depending what your taste is. 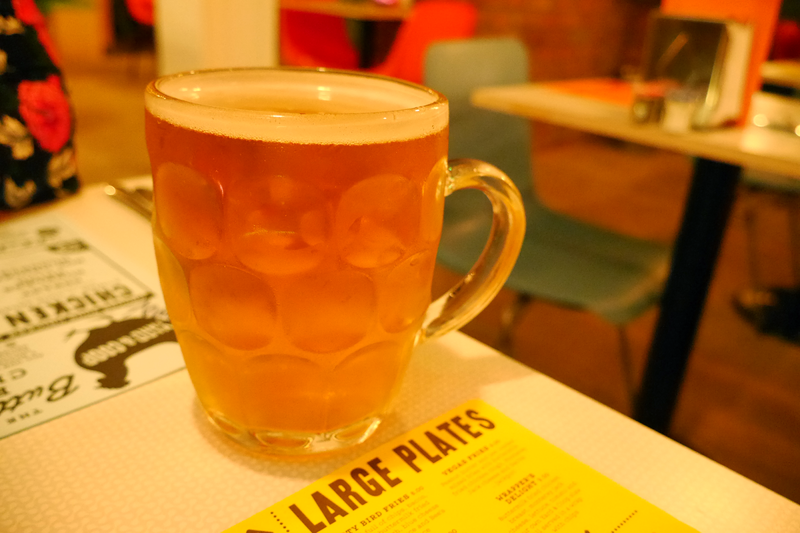 I went for the Cona Big Wave pale ale after being recommended to try it. 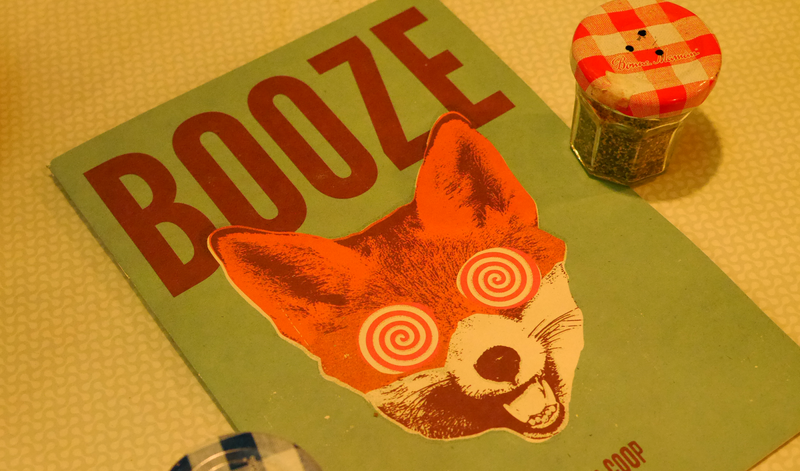 It was really smooth and easy to drink, perfect for having with a meal and I would definitely have it again. Next time we visit, I would be sure not to drive so that I could try out more of their ale selection. The chicken on offer is 24-hour brined and buttermilked to make it extra succulent, and it's then crumbed in their secret recipe of herbs and spices. There were a number of choices such as chicken breast with sides, burgers, thighs, wings and more. We both shared the 'Mac n Cheese Balls' which were a nice little side order to have. They were surprisingly filling so worked out well as a sharing option. 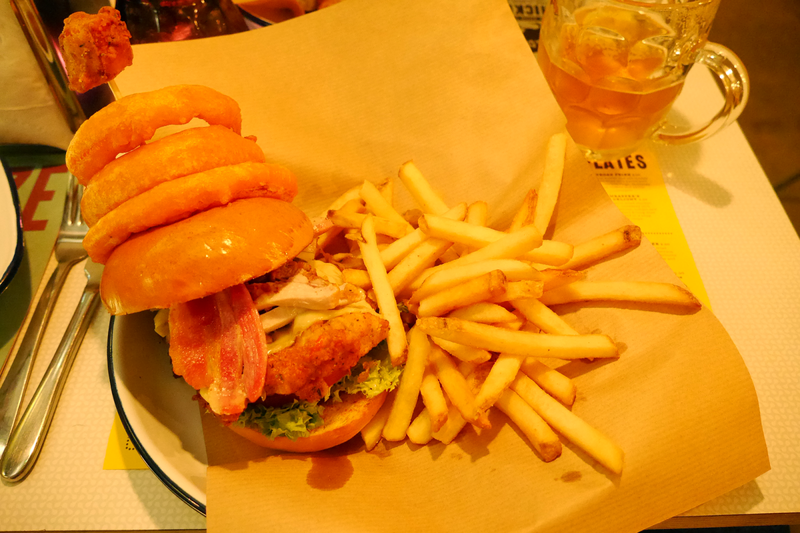 For the main, I went for the 'Yippi-Ki-Yay-Mutha-Clucka' burger which I can safely say lived up to its name. 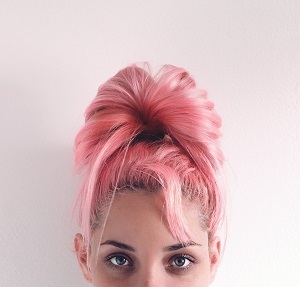 It's a full buttermilk fried chicken breast with shredded chicken thigh in a brioche bun. This is full of three cheeses, bacon, bourbon BBQ sauce, sriracha, onion rings, tomato, gherkin and lettuce and just to top it off with a side of chips. It was one hell of a meal but there were no regrets in ordering this. Even though it was packed with toppings, they all worked well and complemented each other. The chicken was fresh and moist which was a nice change to others I've had in the past, as some chicken burgers I've had in the have been too dry. There was plenty of bacon which was cooked how I like it, so you could actually chew it rather than being able to snap it in two. The onions rings were certainly up there with ones I've had before, being nice and crispy never-mind their huge size. The whole burger was kept together with a wooden skewer, which is needed to stop it all falling over, and this was topped with a little 'Not Chicken Nugget'. 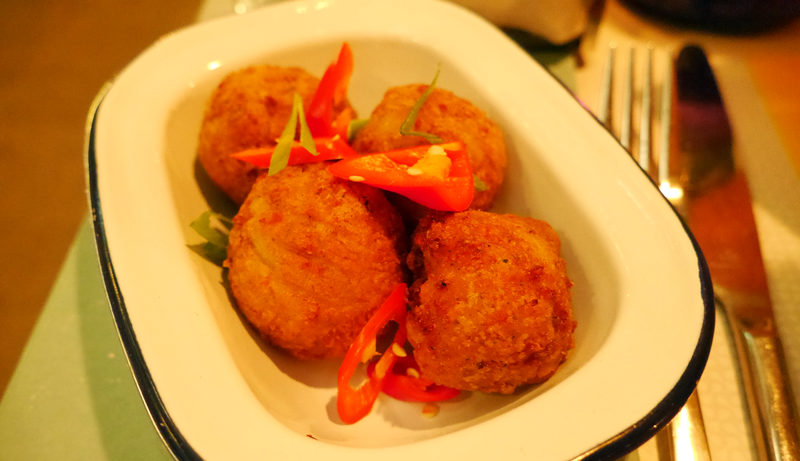 This was a crumb-coated halloumi nugget which is something different to try, and you can order these as a side with other meals. Laura went for the 'Chicken Breast with Bourbon BBQ Sauce', served with chips, which you can also see on her review. Amy ran through the milkshakes and desserts on offer that day and the 'Cookie Dough Brownie' just sounded too good to miss, although we did have to share this as the mains were so filling. 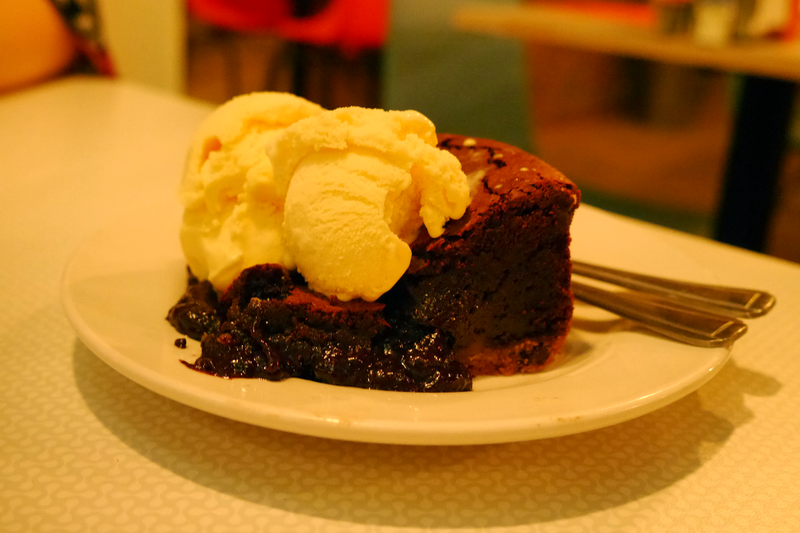 One bit of advice, if they ask if you want your brownie serving warm with ice cream, your answer should definitely be yes. It was a light in texture with rich chocolate sauce oozing out from the middle. All the food came out fairly quickly and was nice and fresh so you could tell it had only just been prepared. Even if the food doesn't tempt you enough or you are just wanting somewhere to go for a few drinks, then the bar area provides a great setting. 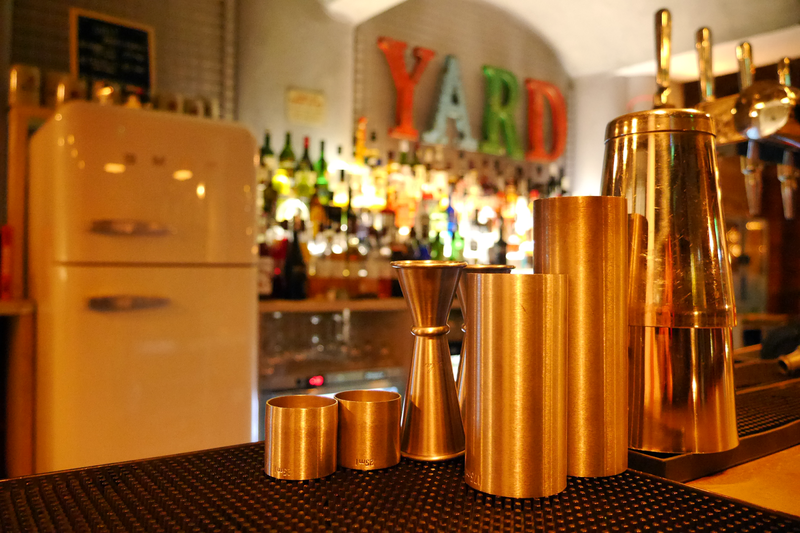 Whether this is taking a spot on the bar stools or in the other seating, the array of drinks on offer should keep you busy. If you were looking for somewhere to catch up with friends then this would be ideal. 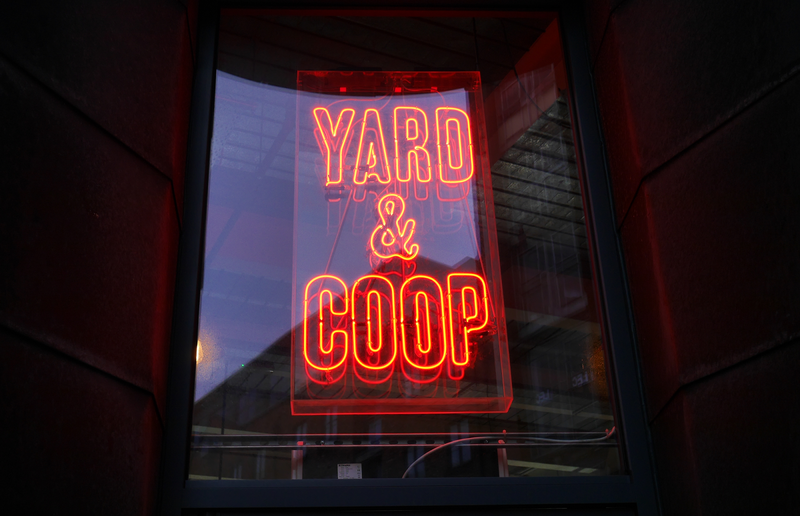 I had such a great time at Yard & Coop, the food was amazing and I loved the whole experience I will definitely be going back! I tend to be the typical type of guy who always picks comedy films when it comes to choosing a movie to watch. I don't think I've ever watched a sad film, much to my girlfriend's demise as she is still trying to get my to watch 'soppy' films with her. 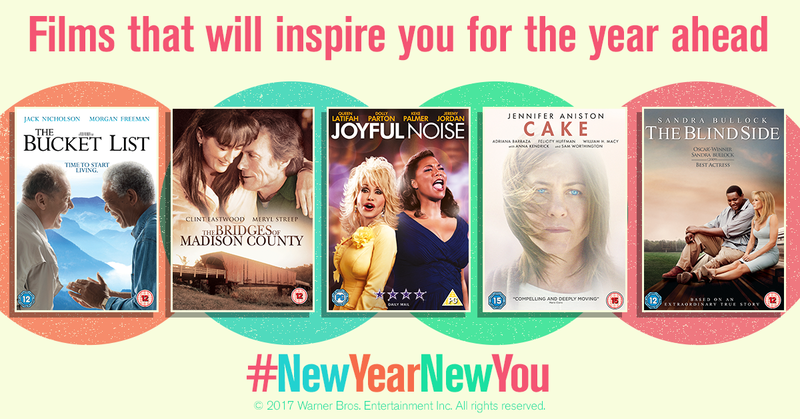 To switch things up a little, I thought I would choose some inspirational films to watch, recommend and encourage you to pick up. The Bucket List is about two terminally ill men, who escape from a cancer ward and head off on a road trip with a wish list of things to do before they die, starring Jack Nicholson and Morgan Freeman. This sounds like it's going to be a bit of an emotional rollercoaster but I'm excited to give it a watch. A film that doesn't sound like something I'd reach for is The Bridges Of Madison County. Starring Clint Eastwood, he wanders into the life of a housewife, Meryl Streep, for four days during the 1960's. I've seen a few of Clint Eastwood's films so this should be an interesting watch. Joyful Noise rings a bell as I'm sure I've seen this advertised. It stars Queen Latifah and Dolly Parton with the main theme being a small town choir trying to win a competition for a grand prize, despite overwhelming odds. This is totally different to what I'd normally watch, aside from when Laura made me watch Pitch Perfect but I'm determined to see it through. Cake is a film starring Jennifer Aniston, who becomes fascinated by the suicide of a woman in the chronic pain support group she's in, whilst dealing with her own personal tragedy. This is definitely another film that seems very emotional. The final film is The Blind Side that stars Sandra Bullock, Quinton Aaron and Tim McGraw. The story is about a homeless boy who is traumatised and eventually became an All American football player from the help of a caring woman and her family. Why not get inspired with me? You can buy the DVDs here, or click below to enter my giveaway to win them! Terms & Conditions Open to UK participants only. Competition will end 29th January 2017 at 10pm. Must be following @amsblog and retweet the tweet linked above. The promoter of this competition is Fetch Dynamic Ltd. Once a winner is drawn, the prize will be sent out within 28 days of confirmation of delivery address by the promoter. There is no cash alternative to prizes which are subject to availability, non-transferable, non-negotiable and non-refundable. The winner will receive series one of each title in the image above. I think writing one of these posts gives you a good chance to reflect on what you have done or achieved in the last year. These are a few of my favourite moments of 2016 and some of the things I'm proud of achieving. This has felt like a long time coming but Laura and I have started to put money away for a house deposit. It feels like such a big step towards getting our own place and it will be great to carry this on this year. I find myself looking at so many home things that I will want to buy. And this includes power tools because, of course, this is a necessity to have when you own your own house. We had our own flat in uni which was amazing, but this was only temporary and it's felt so long since we moved out. When I was in uni I knew where I wanted to work and set myself on achieving this goal. It took a lot of preparation and the application process was over a number of months which included some very stressed nights. At some points I did wonder whether I would even have a chance at getting in, thinking why would they pick me. I kept at it and it paid off, I found out I had got onto the graduate scheme back at the start of 2016 and actually started the job last September. Having a higher paid salaried job benefits me more than part time shift work I used to do, but I genuinely love what I'm doing and I can definitely see myself having a long career here. I have a much better routine now with more sociable hours rather than working until late evening, which has definitely helped as even though I work full-time hours, I feel more relaxed overall. I've started to post much more consistently in 2016 and I have seen an improvement in both my photography and content. 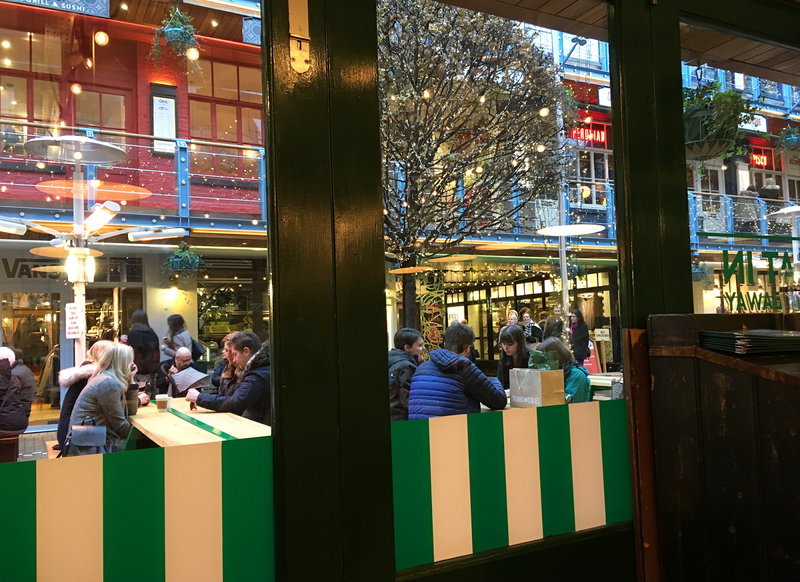 I've started to do a few more review posts which I was happy with, and actually reviewed a couple of food places which I really enjoyed doing. I finally decided to treat myself to a paid blog design which has made my blog look much more professional and I am so happy with how it looks now. 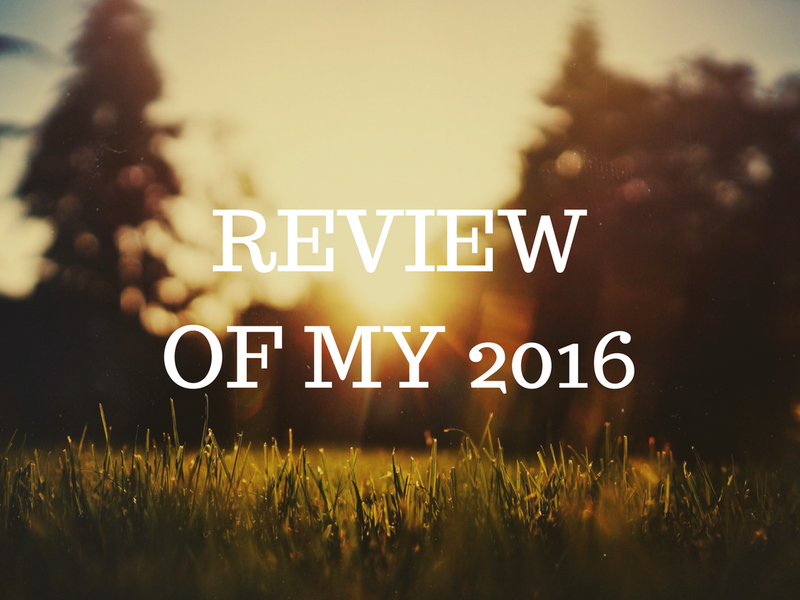 I had my own blog goals to achieve by the end of the year which I also revisited to see what I'd achieved. Amazingly, Laura won a holiday to Los Angeles so we had a great time back in April last year. I never thought I'd get to go to America until I was much older so this was certainly a highlight. We also went to V Fest down in Chelmsford which was our first festival together. It was such a great weekend of music and the weather actually held up fairly well for a festival. A sunny weekend camping down in Shell Island was a nice break away from technology and was time to just relax and enjoy the outdoors. I was fun to just chill out in the sun, do a bit of kayaking and do something a bit different. Laura and I also went on a couple of city breaks, one to Birmingham when we went to Cadbury World and learnt about the chocolate we all know and love. The last trip away we had was down to London to experience it at Christmas time. Going down there at Christmas is something we'd both wanted to do for a while, so explored around and went to Winter Wonderland which I would definitely recommend. I've always been into technology and enjoy looking at new products that get released. One of the big crazes in the year has been around drones with loads of different options out there. I've got my own small drone that I got as a present which is great fun to use. At some point in the future, I'd love to own a slightly larger drone that is capable of capturing very high-quality footage and can be flown over greater distances. I've picked out my three favourite drones for this wishlist that I can one day hope to own. These drones are all worthy of filming professional video which does come with a hefty price tag. 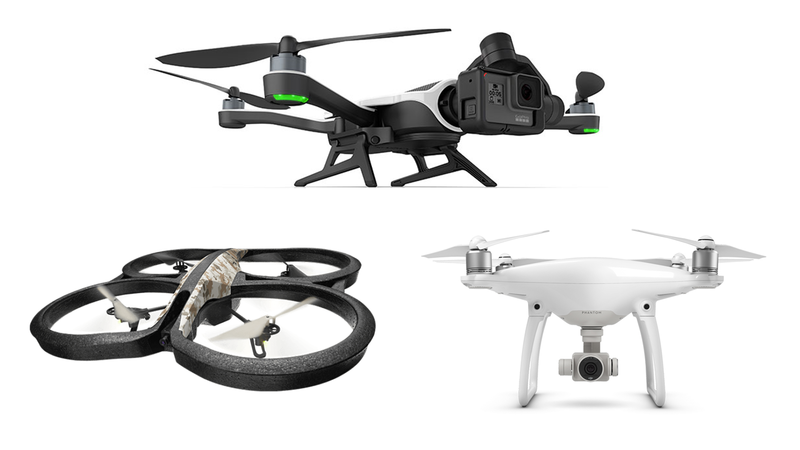 After spending all this money, it would be a good idea to have insurance for your drone to make sure you're covered, such as these options provided by Insure4Drones. Having done a few different posts based around my GoPro kit on here, this drone would be an amazing addition to my lineup. The great thing about this drone is that you use your GoPro camera to film from, so you know you will get great footage while benefitting from the unique filming perspective of a drone. It comes with their new Karma grip which stabilises the footage so you get smooth and silky shots. This can actually be detached to use handheld too. It's super compact and portable as it packs down into a case that is easy to carry around which would be ideal for me as I could take it to so many places. I also love the little controller which is designed to be very easy to use and fly. This is the newest drone to the DJI range which comes with some great features. It has an inbuilt gimbal to ensure you have the perfect clips and can fly up to an impressive 44mph. Neat little things such as automatically avoiding obstacles and tracking moving subjects would come in very handy, especially for a novice like myself. One of the other options I like it the smart return home function, I could definitely see myself using this once my flight was up to ensure I got it back in one piece. This is a more wallet-friendly option at three to four times less than the other two in this wishlist. The very compact design of the drone combined with the fact that you control it from your phone or tablet makes it a very portable and lightweight option. Welcome features such as the automatic piloting to help with take-off and landing would certainly come in useful, plus you can easily do flips and can whizz around at an impressive pace given its size. So there are my three picks to include on my future drone wishlist. They all have cool features and would be great to use to capture some unique and amazing moments. What drones are on your wishlist? When it comes to shaving I've always stuck to what I know, but this doesn't always work for my skin. 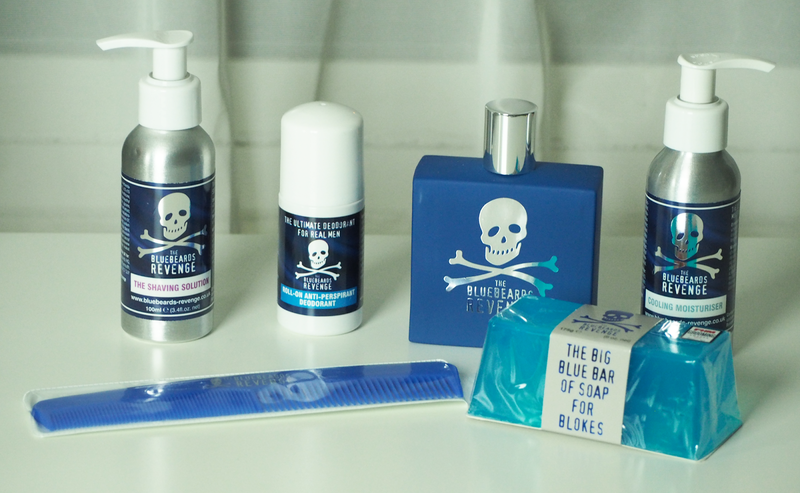 Over the Christmas period I've been trying out two of the kits from The Bluebeards Revenge. 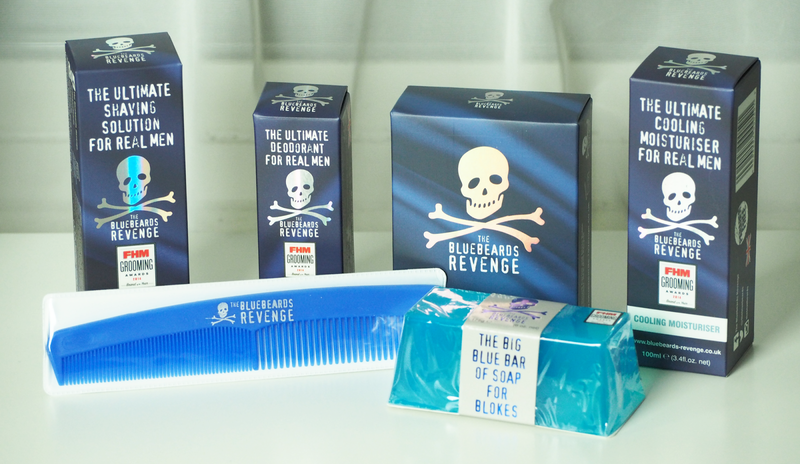 The kits I'm reviewing today are The Bluebeards Revenge Deluxe Kit Gift Boxed (£34.99)* and The Bluebeards Revenge Perfect Man Kit Gift Boxed (£49.99)*. The sleek and neat packaging coupled with the branding is eye-catching and has a quality feel to it. These gift boxed kits are handy in that all the products you need are in one place, with the added value of being ideal for a present. The Pre-Shave Oil (125ml) included is designed to moisturise your beard to help for a smoother shave by preventing your razor catching as much. I'd like to be able to grow a full beard, it just doesn't seem to happen as I'd have too many patches so I prefer to be clean shaven. Even with this, the oil still helps to provide a smoother shave for me and reduce the chance of getting sore areas. This is the first thing to use and only requires a small amount to massage in. The next step is apply the Shaving Cream (100ml) which is a premium quality product with added ingredients to help tackle tough stubble. If used in combination with the Doubloon Bristle Shaving Brush you can apply an even coverage across your face and neck to ensure no area is missed and it also allows for your razor to work more effectively. Finishing up with the Post-Shave Balm (100ml) will help to calm irritation and reduce redness of your skin which is something I have been prone to while using other products. It contains witch hazel and aloe vera which definitely help to soothe after shaving and I can already notice an improvement in my skin. The last item in this kit is the Antiperspirant Roll on Deodorant (50ml) which is meant to help reduce body odour. I've not been one to use roll on, but it could be handy to throw in a gym bag or take on holiday due to its compact size. This kit includes everything you should need for washing, shaving and leave yourself smelling good. Having the Brushless Shaving Solution (100ml) lets you have a quick and easy shave. This would also be great for taking away with you as it means you need to pack less products. I've found this good so far allowing for a smooth shave and I end up with less irritation. The Cooling Moisturiser (100ml) to apply afterwards does help reduce sore patches and calm down my skin which used to cause me issues before. I love the design of the Eau De Toilette (100ml) bottle, with a matte blue finish and the cool logo giving it a completely different look to others out there. The fragrance has ozone notes accented by Sicilian bergamot and Ligurian basil, having a rich blend of black tea, jasmine and watermint for the heart notes. Madagascan vanilla, sandalwood and patchouli combined with oakmoss and mush make up the base notes. This scent is similar to what I'd normally go for and will add nicely to my collection. Roll-on Antiperspirant Deodorant (50ml) is included in this kit too. A nice addition to the box is an 18cm Comb which would certainly come in handy for keeping your hair in check. I was really impressed with these kits as they contain some really quality products that do actually work as I have seen as improvement in my skin since using these. You can buy these products separately too if you fancy grabbing something specific, and as I said before, these kits would make perfect gifts. 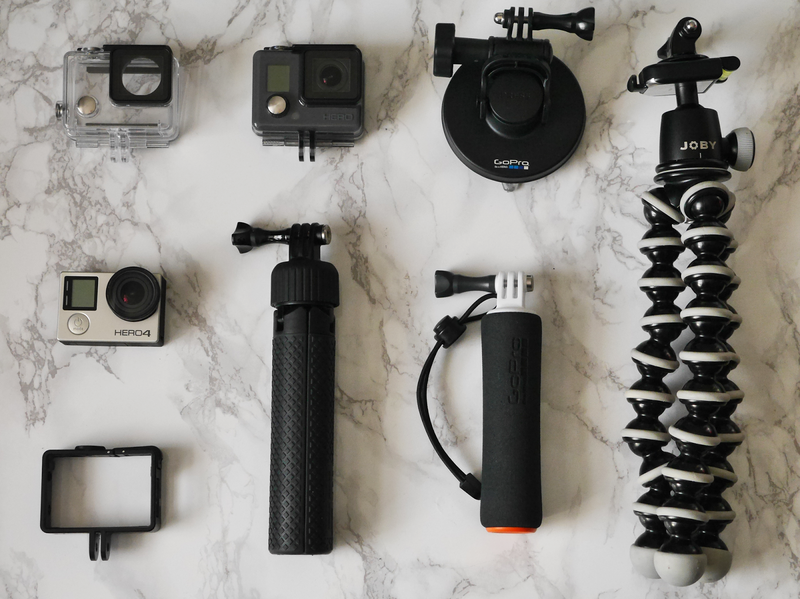 Having a camera as compact as the GoPro is great for capturing footage wherever you are. They are small enough to throw in your pocket and they are pretty much unrivaled in the practicality area. I'll cover the mounts we use a bit further down so I can explain in more detail. One of the great things about the GoPro is that they can take quite a bit of abuse so you don't really have to worry about where you take them. In the correct casing they are fully waterproof which gives you access to footage many other cameras cannot get. This entry level model was my first GoPro I bought and I wasn't disappointed. It does have less options and functions such as the lack of screen and more restricted alterations for the mode, but it's great to just pull out to start filming. This camera only films in the wide mode but will still produce high definition video. It can take photos and capture time-lapses which gives the freedom to use it for multiple things. When filming with this GoPro, it can often be perfect if you wanted to film footage right in front of you as the wide angle will capture everything. This could be good for use on body mounted shots such as in the chest mount or when filming in an enclosed space such as inside. This is one of my more recent purchases and I absolutely love it. It captures amazing footage in a number of different modes and settings as well as some very high quality photos. The mode I normally film in now is the newly released linear option which removes the fish eye look. This can produce video that looks more like other cameras, while still having the detail you are used to with the GoPro. Don't get me wrong, I know the wide view is distinctive to the GoPro and comes in extremely useful when filming things in a small space or when mounted in certain locations. It's also great to use when you want that real immersive experience. I think having this range of options to use all packed into one tiny camera makes it, for me, the perfect camera to use for travel vlogs. This model had an LCD touchscreen which, although small, makes framing your shots that bit easier. It's also useful for scrolling through the options quickly and altering the settings in each mode. As I've already mentioned, the output quality from the GoPro is very impressive given how small it is, so can often save carrying a larger camera around. One of my other favourite options to use is the time-lapse function, with a choice of intervals to allow capturing movement over longer time periods really easy, such as clouds or people in a busy city. We've now got two of these mounts so we can both film at the same time. It's a small handheld grip that easily screws into the camera and is very sturdy. It comes with an adjustable elastic wrist strap so I'd never be worried about it coming off whatever I was doing. The grip will also float the camera if dropped in water, so it would make it make for a perfect mount for water based activities too. This is a similar mount to The Handler but comes with the added flexibility of being a tripod. It has a rubberised finish to it so that you can get a good purchase, and it actually designed specifically for the GoPro as it screws straight onto the camera housing. The grip folds out easily to create a stable base and saves having to carry around a separate tripod if you don't want to carry too much equipment around with you. The only downside to this mount it that it is noticeably heavier than The Handler. This mount is mainly used when filming out of the car window when we are travelling somewhere. It easily attaches to a flat surface such as the windscreen and holds it's place really well. You can even mount it on the outside of your car and can stay on even at high speeds. I have also used this to capture time-lapses when looking out of a window as you can just set it going and not worry about it moving. I can definitely see the use of this in the future if we did move vehicle based travelling as you could capture what you are seeing as your drive along. I use the GoPro tripod mount to attach it to this Gorillapod as it provides a lot of freedom with where I can mount it. You can get smaller action camera Gorillapod's, but seen as I wanted one to use for all my cameras I went for the larger one that can support them. The great thing about this tripod is that it's lightweight and can be wrapped around most things which means you can set up the tripod in places you wouldn't normally be able to. I've also used it as a grip to use for filming if you just fold all of the legs together. This is my most recent purchase for the GoPro and is used with my Hero 4 so that it doesn't have to be in the larger housing. This mount is the lowest profile housing that gives access to all of the ports and allows for much better audio capture. I did wonder at first how much better it could be, but I would 100% recommend this to invest in if you want decent sound. This can only be used in dry and clean environments, but don't think that this means you can only use it indoors. This is my go-to mount for the Hero 4 now, so unless I need it to be waterproof, I would always use this one as you get the best output for your videos.